For the venue to make a profit on the Elton John gig, the average ticket price would have been around 20,000 rubles ($400). Fans of Elton John and Marilyn Manson living in Moscow are facing tough times. The number of international artists coming to Russia to perform has plummeted in recent months as an economic slump and currency crisis have made them too expensive for local promoters. Meanwhile, outrage caused by Russia's annexation of Crimea and support for separatists in Ukraine have led some performers to boycott the country, and Russian Orthodox Christian and other conservative activists have leaped on a wave of patriotism to agitate against artists that they disapprove of. Since the start of last year, "the number of the concerts featuring international artists has fallen by 95 percent," said Yevgeny Morozov, the director of the Moscow event agency City Concerts. "[Foreign musicians] are not profitable anymore," Morozov said. The hard fees demanded by international stars have not changed, but due to the depreciation of the ruble, which has fallen by one-third against the U.S. dollar over the past year, the cost for local organizers has soared. 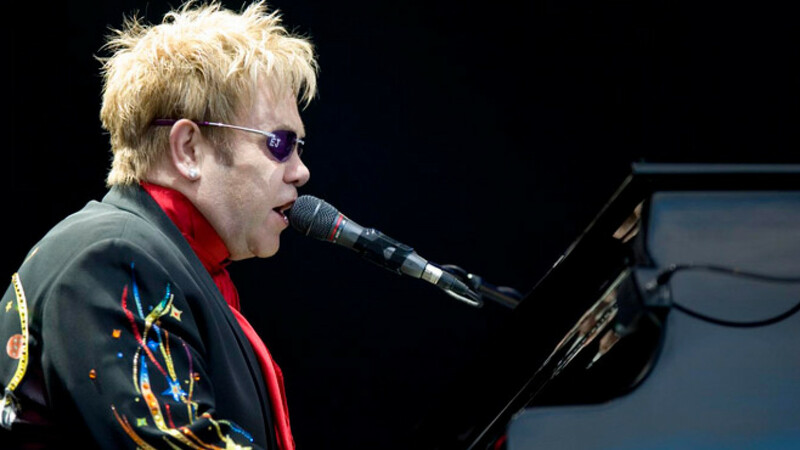 The organizers of concerts at Crocus City Hall, a major Moscow venue, planned to host Elton John this year, but despite successfully negotiating with the musician were forced to cancel the event. "We can't afford such expensive musicians anymore," said Svetlana Bignova, a business development executive at Crocus City Hall. For the venue to make a profit on the Elton John gig, the average ticket price would have been around 20,000 rubles ($400), according to Bignova. The average Russian earned 30,620 rubles per month, state statistics service Rosstat said in February. Since the founding of Crocus City Hall in 2009, the organizers had tried to keep the balance between Russian and international performers at around 50-50. Now, the number of foreign performers has fallen to around 30 percent, Bignova said. Despite that, she said demand for international musicians is still strong in Russia: "This year we have planned concerts of such world-famous stars as Charles Aznavour, Nick Cave and Tommy Emmanuel." Growing expenses on concerts with international stars have forced organizers to increase the ticket prices by on average 10 to 15 percent, according to promoters. But the rise comes as real wages are falling and unemployment is rising. Last year average real incomes dropped by almost 10 percent, according to Rosstat. By the end of February 2015, some 4.4 million Russians were unemployed — 200,000 more than one month before, Rosstat said. "Purchasing power has gone down considerably," said Morozov. "Now, when so many people have lost their jobs, they are not willing to spend much money on entertainment." Some concerts are canceled for economic reasons. But more and more musicians are also refusing to come to Russia due to ideological beliefs. The annexation of Crimea by Russia in March last year, which was widely condemned in the West as an act of aggression, tarnished Russia's image abroad. "This doesn't only refer to the situation in the Crimea. A lot of foreign musicians do not agree with the Russia's politics in general," said Alexander Kushnir, the director of music PR agency Kushnir Production. Afisha Picnic, a major summer outdoor festival in Moscow, last year had the weakest cast in 10 years, according to Kushnir. A few months before the deadline many foreign musicians, selected throughout the year, refused to perform at the festival. Thom Yorke, the lead singer of the English band Radiohead, is one of the most desired artists on the Russian stage. But negotiations with the band by Russian promoters have repeatedly fallen through because of musician's disapproval of Russia's political course, according to Forbes. Also, behind the decreasing number of the international artists visiting Russia are activities of ultraconservative religious groups and clergy and a strengthening of political censorship in the country. This was already visible in 2013, when a performance by U.S. rock group Bloodhound Gang at the Kubana music festival in the Krasnodar region was officially canceled after the band mocked a Russian flag during a concert in Ukraine just before heading to Russia. But activism has been accelerated by a surge in patriotism since the annexation of Crimea. Last summer Orthodox activists from a social movement called "Will of God" asked Moscow Mayor Sergei Sobyanin to cancel a concert of by American rock musician Marilyn Manson, who was to perform at the Park Live rock festival, organized by events agency Melnitsa. When Sobyanin didn't act, the activists did. Before the concert, they threw eggs at Manson's bus. The performance was eventually canceled due to anonymous report of a bomb. The Moscow concert was to be followed by a concert in the Siberian city of Novosibirsk, but this was also canceled after protests by local Orthodox activists. Last year the activists also protested concerts in Russia of metal bands Cradle of Filth and Cannibal Corpse. Both the bands' performances were canceled after authorities refused to sign off the groups' paperwork. According to Kushnir, it is impossible to forecast the future of the music industry in Russia. But the situation has its positive sides. "Now, when the number of the foreign musicians has fallen considerably, it's a good chance for young Russian performers to come on stage," Kushnir said.